Though attracting high-quality talents is important for the growth of the company, retaining your current high performers are also equally crucial. A high employee turnover rate is downright costly and energy draining. Thus, part of the managers' responsibility is to find out the source of motivation that makes their employees stay and the root causes that drive the employees to quit. In today's article, we'll discuss why your employees are leaving you. 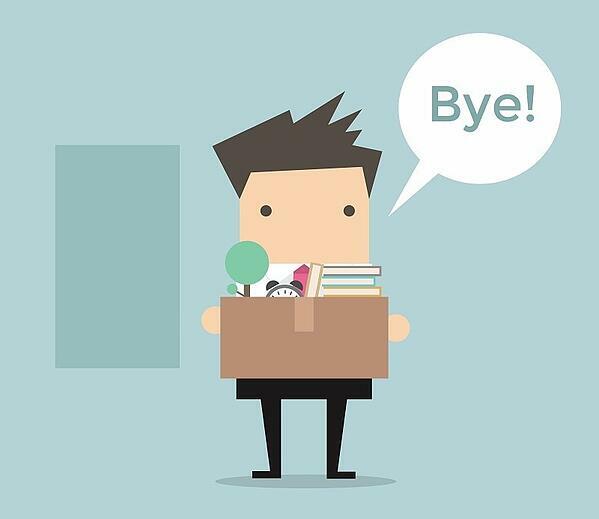 As a manager, you probably think you’ve already offered everything your employees possibly can ask for, why are they still leaving? Salary is undeniably an important factor but it is not the ultimate trigger that makes your staff quit their jobs. All in all, reasons as to why an employee would consider taking a job elsewhere can be generalised into the following 3 factors. Everyone wants to be acknowledged for their hard work with rewards, training and development, or opportunities for advancement. This is particularly important for Generation Y and Z as they firmly believe that promotions should be granted based on the skills and qualities an individual has, not because they have been with the organisation the longest. As a result, if your young employees start to feel there have been little to no changes to their daily routine, or their managers show no interest in further developing them, they would seek other employment. You've probably heard of the saying: "People don't leave a company; they leave their teams and managers." This is a no-brainer. Imagine you have a conflict with your team members (conflict in working styles, ideas for development or even personal habits). This can put a strain on your relationship with the team. Conflict with the managers can also stem from the same reasons. You may think that the current managers are not capable of handling the team, they make bad decisions, they are not inspiring or they do not know how to motivate you and the team, etc. Once your employees stop caring, they'll stop trying. Low engagement and detaching oneself from the rest can lead to the employees looking to relocate sooner or later. 30% of Navigos' participants stated that they will keep working until they can't. 58 per cent also said that they are willing to spend anywhere from 41 up to 50 hours a week on working if required. However, overworking and stress can negatively affect the employees' wellbeing. To Gen Y, although they are more open to exploring their own "self", they still prioritise their family first. Female employees, in particular, tend to agree more on this attribute. If there is an opportunity that offers them a better working time or similar perks, they would make the switch. As such, throughout the employee cycle, Gen Y needs to take some "breaks" in order to recoup and to take care of their families. Other common reasons why Gen Y would like to take a break from work is to pursue their dreams/ hobbies or to travel. More and more companies are allowing their staff to work from home or flexible working hours so the employees won't feel as drained. Read more: Why is collaborative leadership important? Employees are a company's critical asset. Attracting new talents are challenging enough, retaining your existing ones requires the managers to think one step ahead. But we are not "mind readers," we can't just make assumptions or blindly apply the theories from the textbooks. That's where TRG Talent can come in and ease your pain. Our wide range of cloud-based talent management solutions can support your everyday human-related issues, from determining whether a candidate is fit for a position, unlocking your employees full potential, to developing leadership skills. We value what you value. Our solutions will do all the hard work. What’s more, it's modern, it's user-friendly, it might be the next best thing you've ever encountered. Intrigued?